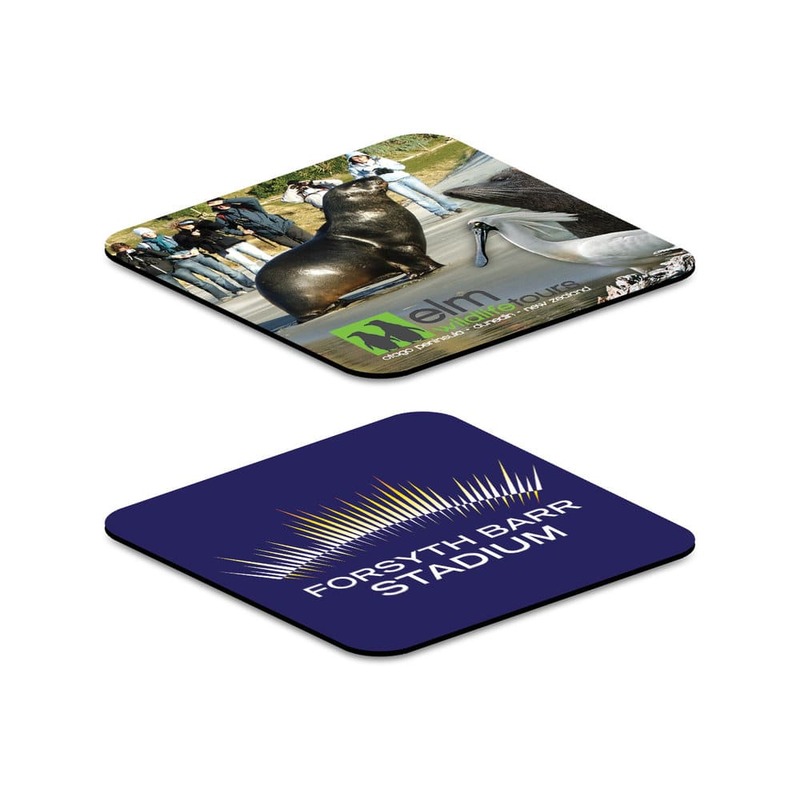 Flexible anti slip rubber backed coaster which can be washed and reused. W 95mm x D 95mm x 4mm. Sublimation Print 95mm x 95mm (plus bleed if required).